Stock Locations - New York party venue, New York City event locations, New York venue rental, New York City event planner. Here we list New York City party venues, New York City wedding reception locations, and New York City event locations such as bars, restaurants, club. We also have meeting facilities, event halls, and conference rooms available to rent or hire for your next party, wedding, reception, corporate meeting/presentation, or other special event in New York. We have hundreds offline as well. Just submit a free Location Scouting Request and we'll forward appropriate locations to you. All rights reserved. This site & all the information included are protected by intellectual property laws without any restriction. 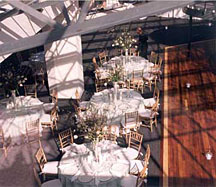 A service for New York event planners, New York wedding planners, and New York event coordinators.